Have you ever encountered the situation where you fail to watch a video just because its format is not supported by your video player? It often happens as there are a large number of video formats, while the number of formats supported by a video player is usually quite limited. To watch video of various file types, you could download various video players onto your computer. But this method is too troublesome! Plus, what if you want to watch videos on the go on portable devices, take smartphone which can play videos of only some certain formats as an example? Is there a panacea for this problem? The answer is “Yes”! Thanks to the invention of video converter, an omnipotent solution has been found out. This kind of miraculous software can help convert video from one format to another with one click . However, we are sometimes at a loss when we choose video converters, since there are hundreds out in the market with their own features. 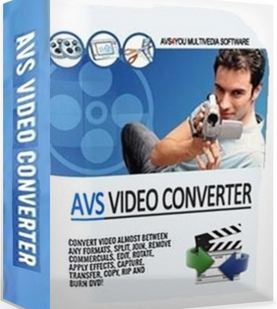 Which video converter is the best video converter among many? This post will introduce top 10 best video converters available in the market. Take a look. One of AVS Video Converter’s best features is the built-in DVD burner. After you convert your video files to an NTSC (U.S.) or PAL (Europe) compatible format, you simply burn the file to DVD. With AVS Video Converter, you can do some video editing, including splitting, joining and trimming video, and adding audio tracks. In addition, the video and audio effects are of great fun and ensure that your videos will look and sound in the way you expect. With 84 video effects, you will certainly find what you want to choose to flip, twist, skew, sharpen, emboss, defuse and do pretty much anything to the visuals. Handbrake is available on different platforms, Windows, Mac and Linux. It supports different formats and encoders including MP4(m4v), MKV, H.264(x264), MPEG-4 and MPEG-2 (libav). You can convert videos directly to iPhone, iPad, iPod, and other Android phones wth the optimized presets. Leawo Video Converter Ultimate is a top video converter suite to handle conversion problems between video, audio, DVD, Blu-ray and online videos. It consists of a video converter, Blu-ray ripper, Blu-ray creator, DVD burner, DVD converter, photo slideshow maker and burner, online video downloader and online video accelerator. This total video converter suite can convert all video/Blu-ray/DVD files to videos in various popular formats for different uses, create photo slideshows with photos of various sources and burn photos to Blu-ray/DVD format, and burn Blu-ray/DVD content from videos with wide selection of disc menu and template DIY options. What’s more, it could accelerate online video playback loading and speed up downloading online videos from online video sharing sites. WinAVI All-In-One Converter is a professional application designed to convert the most popular video and audio formats. It can convert almost all videos and audios to play them on PC, portable media players, and so on. WinAVI All-In-One Converter is one of the best and world’s fastest converters for video and audio conversion among popular formats like AVI, MPEG1/2, MP4, WMV, FLV, MOV, VCD/DVD, XviD/Divx, 3GP as well as audio formats including MP3, WMA, WAV, etc. With double conversion speed, it can convert a movie about 4G in only 10 minutes. 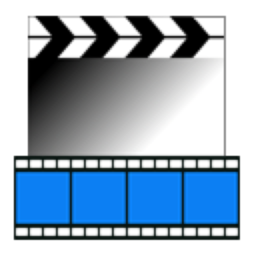 MPEG Streamclip allows you to play and open most of the movie formats that include the MPEG files. The formats can also be transported and edited with TRIM, PASTE, COPY and CUT. They can also be converted into a demuxed or muxed files and are exported to an AVI, MPEG-4, DV or QuickTime files with such a professional quality. It accepts nearly all the file types we looked for when we reviewed the best video converters. 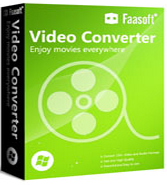 Although it doesn’t export to all video file formats, this video converter software can convert video formats to all the major ones associated with the most popular media players such as smartphones or tablets – practically anything with a screen capable of playing video. You can even burn a brand new DVD to work in any player. This is not a universal feature of the other best video converter software we reviewed. One of its best features is the online import tool. You simply find a video you like on sites such as YouTube, Vimeo, Dailymotion and so on, and copy the URL and paste it into Any Video Converter’s application. Within moments, the application will find the video for downloading and conversion to playback on your other devices. 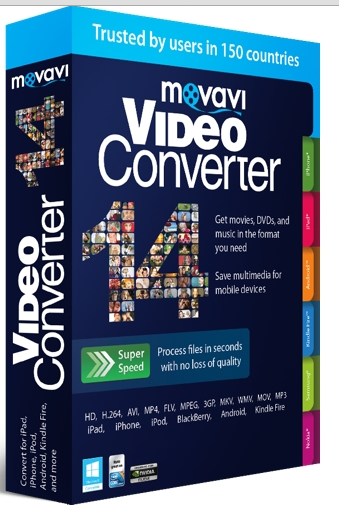 With Movavi Video Converter, you can prepare your multimedia files for instant playback in any format and on any device. And you don’t need to be a geek to do it: just select the format or device you want from the list of supported options and click one button – your files will be ready in seconds. Plus, you get a huge range of exciting extras: you can enhance video quality, adjust and normalize sound levels, trim, merge, crop, and rotate files before you convert – all through the user-friendly interface. That’s so easy to master! 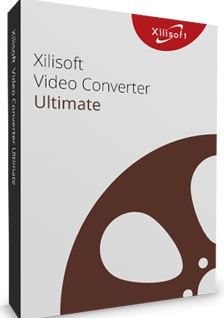 Xilisoft Video Converter Ultimate supports popular formats like WMA, MOV, AVI, MP4 (most Apple products), MPEG 1 and 2 and VOB (for DVDs.) It also supports more unusual formats like M4V, RM, 3GP, SWF and so on. It doesn’t include all the editing tools you can find in the other video converters, but it works perfectly well if you don’t really need them. Xilisoft Video Converter Platinum also features a built-in video player you can use to preview the video you’re about to convert. Sadly the program in a bit too unstable and would crash every now and then during video conversion. ImTOO Video Converter is an easy-to-use-program that allows you to edit and convert video, audio, and animated images. Its key features is the creation of from normal ones. ImTOO Video Converter is the best video converter software to convert between HD videos ( H.264/MPEG-4 AVC, AVCHD, MKV, HD WMV, MPEG2/MPEG-4 TS HD ), convert videos from HD to SD, convert between various general video formats (AVI, MPEG-4, WMV, DivX, H.264/AVC), and extract audio and pictures from videos. High-Definition (HD) video encoding and decoding make it possible to get stunning High-Definition videos for HD video players. ImTOO Video Converter can turn any video/audio file to be played on iPad, iPod, iPhone, Apple TV, Google Android phones, PSP, PS3, NDS, Wii, BlackBerry phone, iRiver, Creative Zen and other multimedia devices. 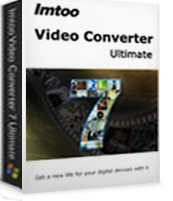 This absolutely super powerful Video Converter supports almost all standard video formats, even videos in HD and 3D and from Camcorder, online and other popular devices. What’s more, converting video and audio files to popular audio formats is one of its basic functions as well. The next is the most amazing thing – with the help of it you can enjoy any video and audio on your favorite players or devices at will: iDevice, Android, BlackBerry, Xbox, PSP, PlayStation Vita, Nexus, Kindle Fire, etc. Through the above introduction of the features of top 10 best video converters, I hope to give you some useful information on choosing the best one in according to your need.